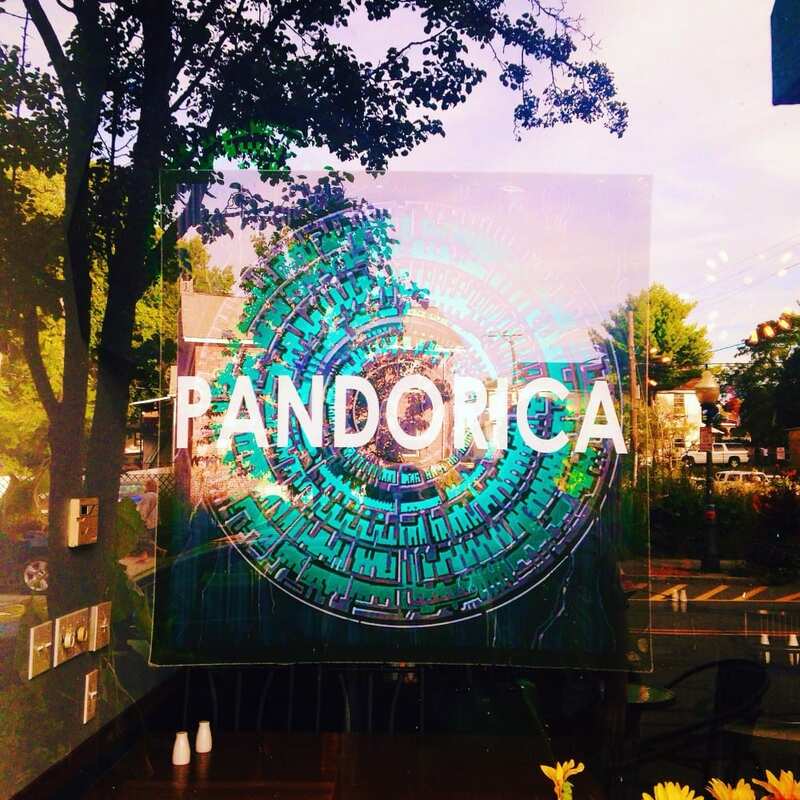 This past weekend Andrew and I traveled to Marist college for his 5 year reunion (it’s basically Hogwarts – see here) and since we were up that way we thought it would be the perfect opportunity to try the Doctor Who themed restaurant, The Pandorica! I’ve been wanting to go since it opened but it’s pretty far out of the way so we hadn’t made it there previously. It’s such a cute little spot and the food is fantastic. I think it if were located in NYC it would be too crowded to truly enjoy the experience. As soon as we walked in we were greeted by a friendly waitress and I immediately noticed a man sitting near us outfitted in suspenders and a bow tie (yeah Whovians!). The Pandorica definitely has a quiet atmosphere which is due to episodes of Doctor Who playing and most attendees having their eyes glued to the tv screen (think sports bar but actually fun!). We were lucky enough to catch the latter half of the David Tennat werewolf episode and the beginning of the David Tennat – Sarah Jane – K-9 episode. Also I was that disruptive girl who totally didn’t mind being the uncool tourist running around the restaurant to photograph EVERY DETAIL. 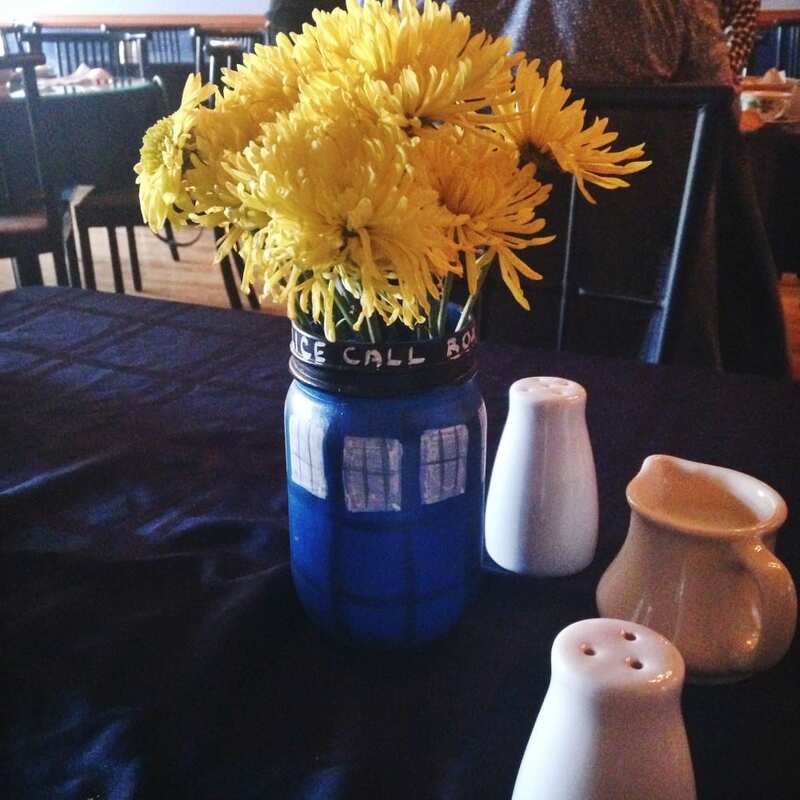 So speaking of those details, my favorite touch is the Police Box mason jar full on sunflowers on several tables though I’m also partial to the Dinosaur head with a TARDIS in it’s mouth. One of the coolest things is that right near the restrooms there is a giant crack in the wall that changes colors. 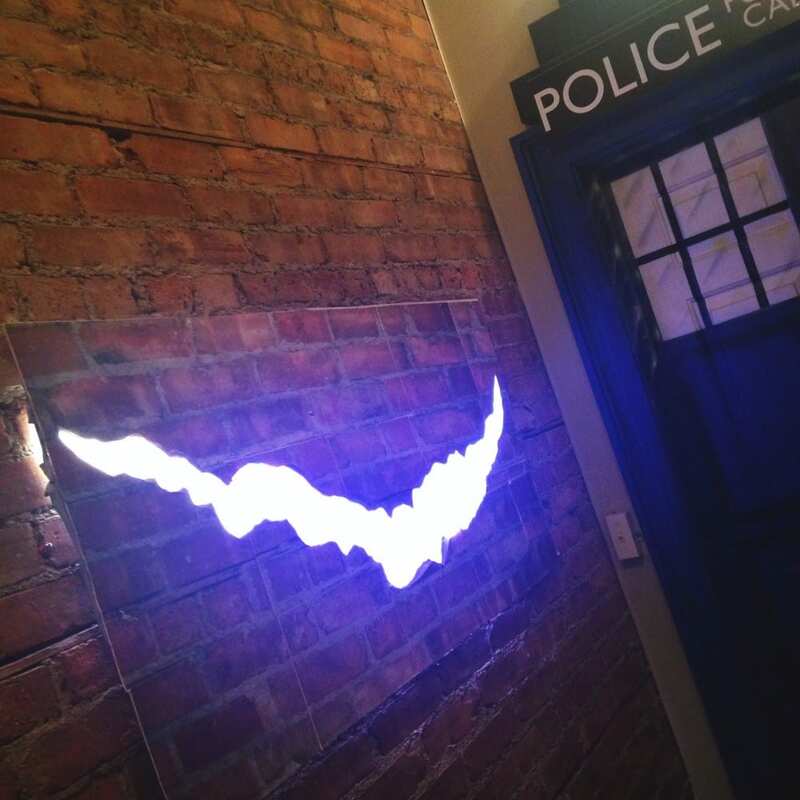 The bathroom door is fashioned after a TARDIS using a wall decal and an actual light bulb atop the door. 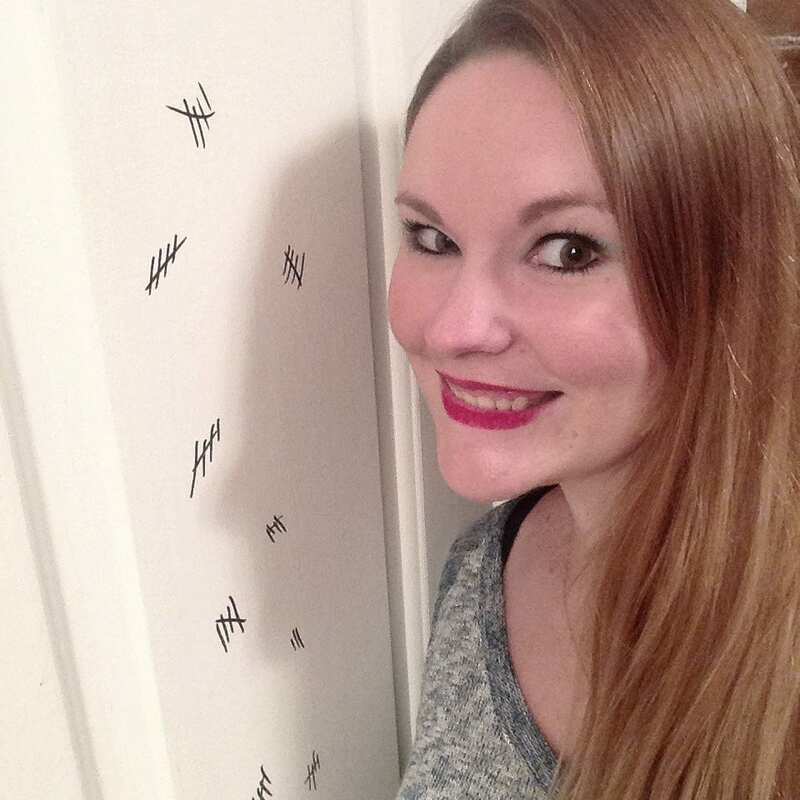 The inside of the bathroom is decorated to look like the interior of a TARDIS (also wall decals) and the back of the bathroom door is full of tally marks. Hmm I wonder what those could mean? 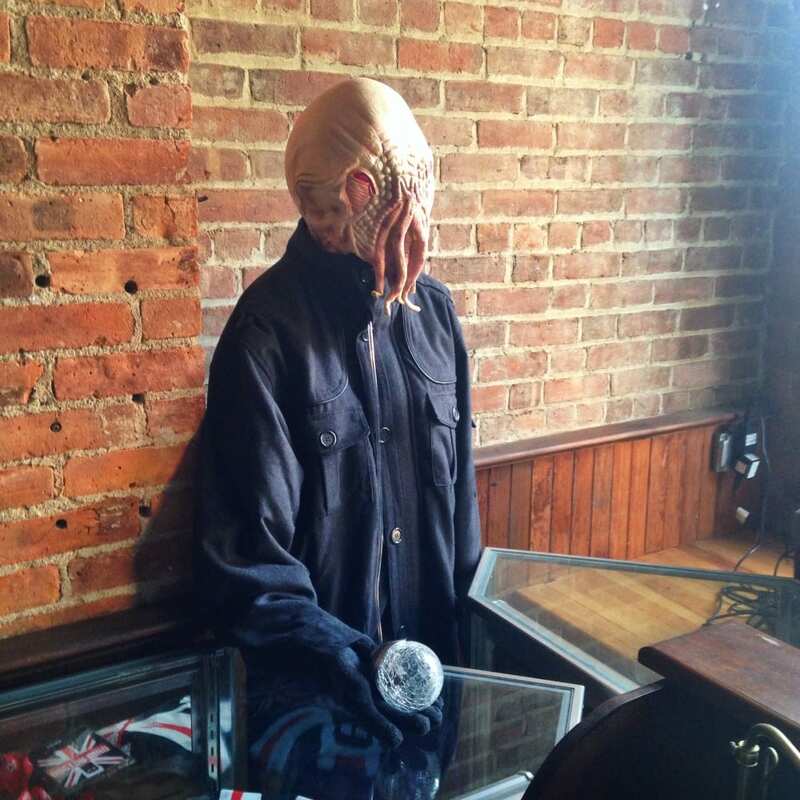 :-) There’s also a hanging member of the Silence in wall area opposite the bathroom and an Ood that sits near the front desk. 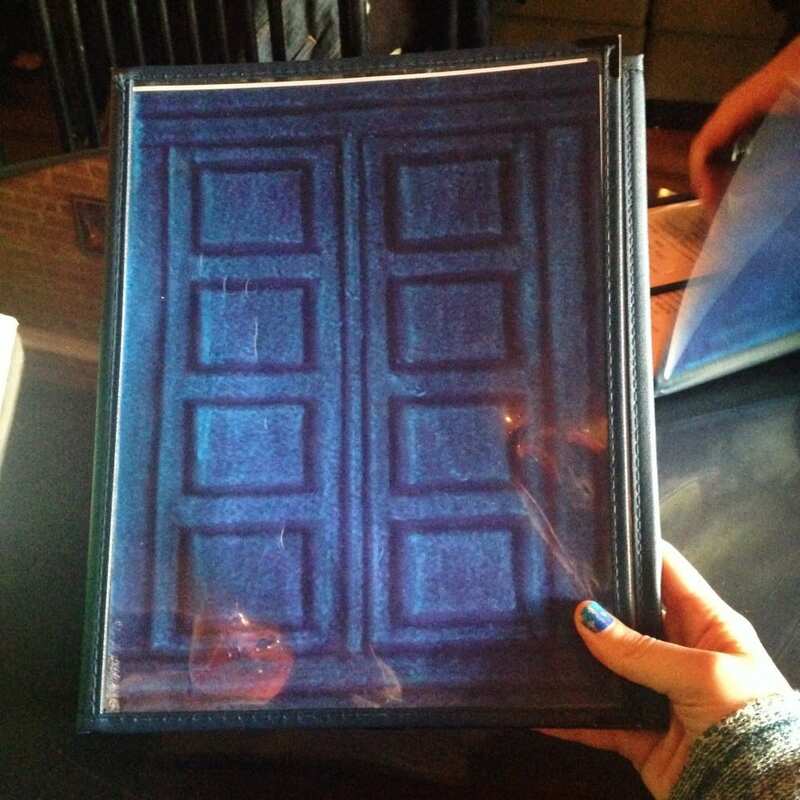 The menus look like River Song’s journal and there’s a giant Van Gogh TARDIS mural across the back wall. There’s also a wall of artwork that’s for sale which is not allowed to be photographed (I was nicely informed about that when I tried to snap some pics). Even the cloth pattern on the booths is very Gallifreyan. So A+ in the decoration department. 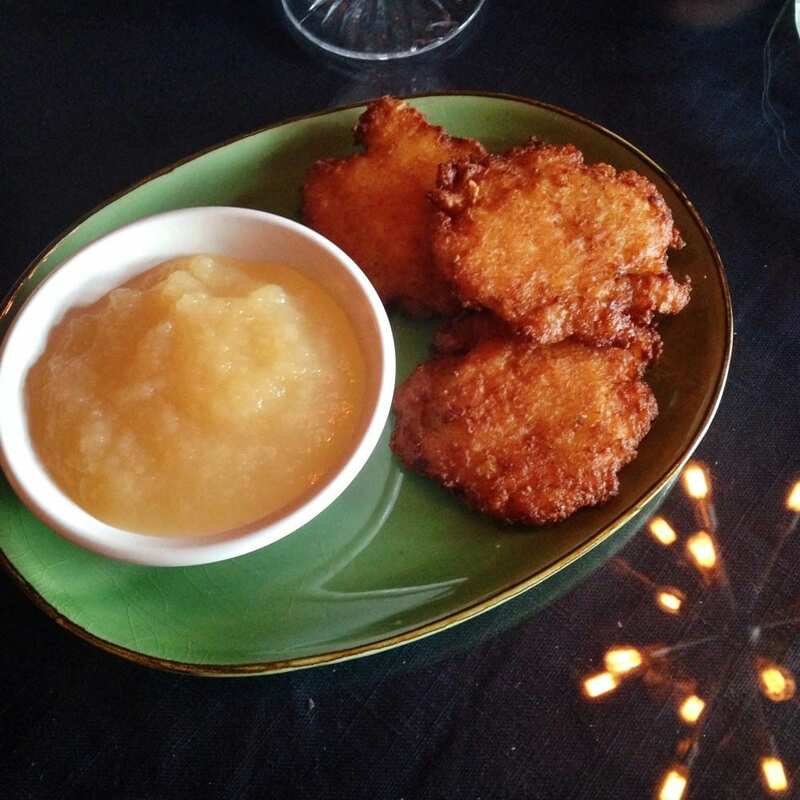 For dinner I ordered the Gallifreyed potato pancakes because I wasn’t super hungry and I really enjoyed them! 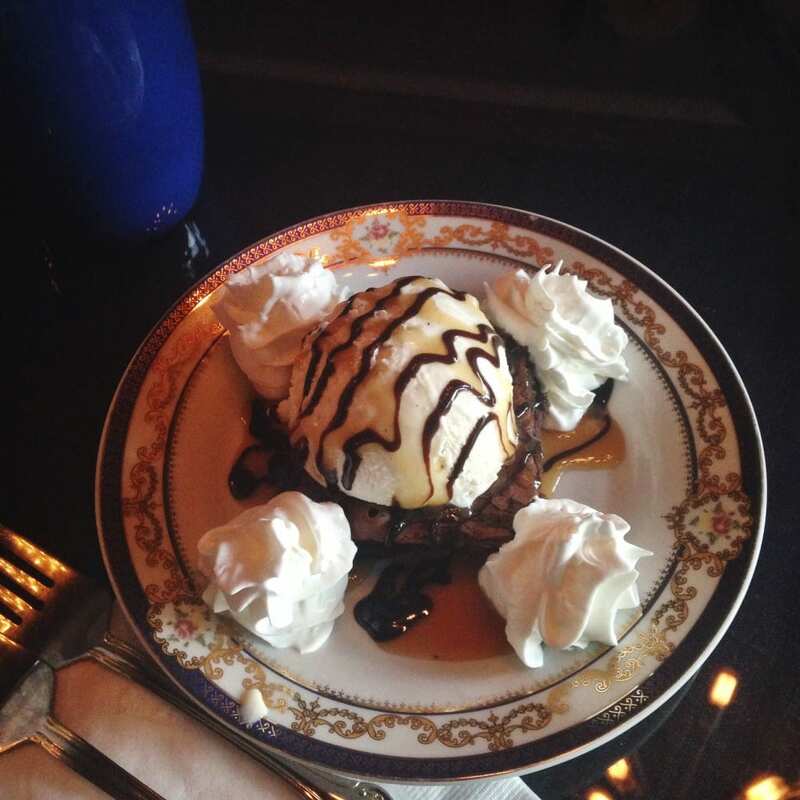 It was the perfect amount of food and I was still able to enjoy a brownie covered in ice cream and caramel sauce once I finished. Andrew ordered something very meaty that involved bacon so I cannot comment on his food. If I ever have the chance to go back I would love to try the faux fish fingers and custard from the dessert menu. It’s actually french toast sticks! 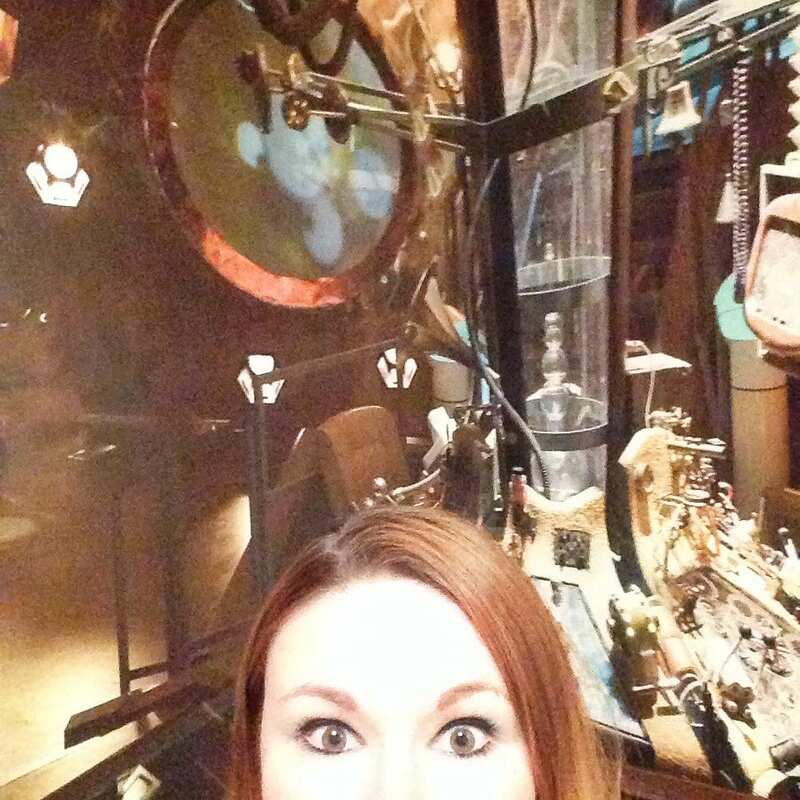 Overall, The Pandorica is a really enjoyable place for any Whovian. 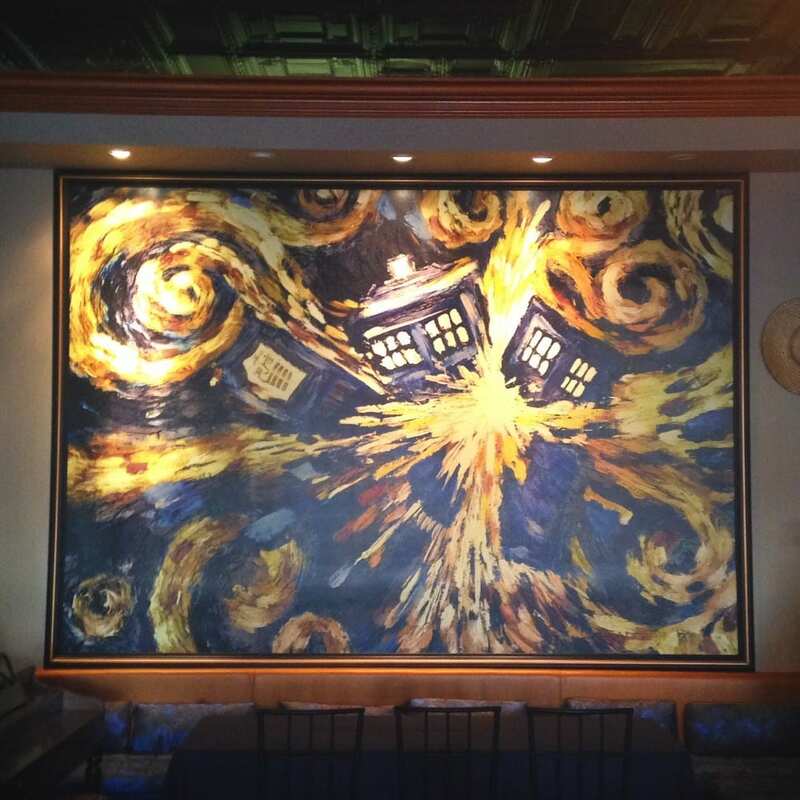 The decor is timey wimey, the staff is really friendly and the food is delish. It’s a bit far for us to make a trip out there where The Pandorica is the sole purpose but if we ever find ourselves in the area again you can bet we’ll be going back! This place looks so fantastic! Me either, but I was recently spoiled on the end of the last season and I really like where the story went so now I’m more likely to catch up sooner! I loved it too! I’m not even a big fan of Doctor Who, but my friend lives in Beacon and so I told her that I thought it would be fun to go. 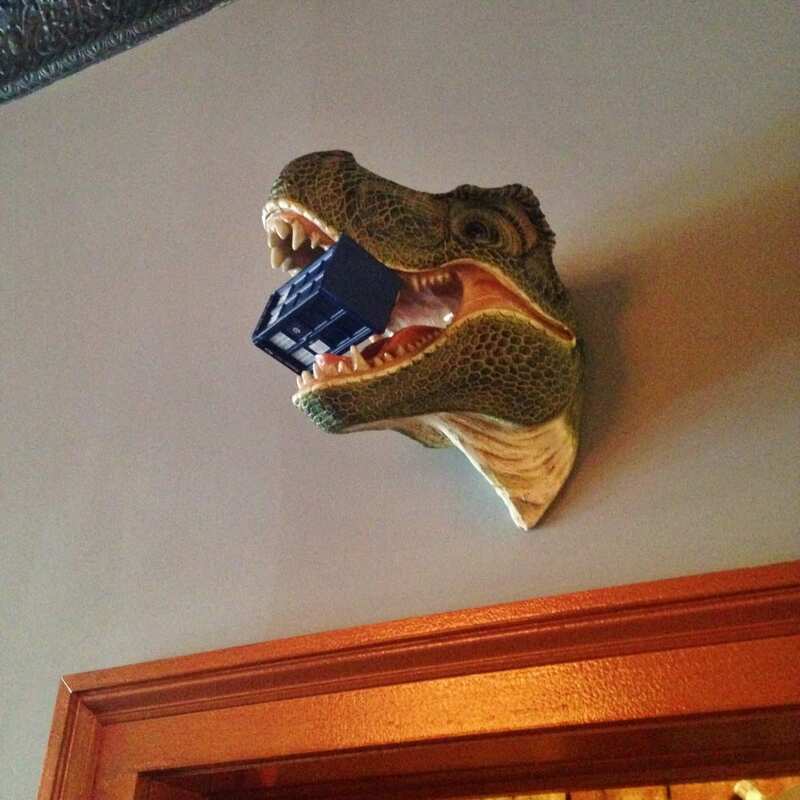 I really liked what I ordered too and the decor!! I took pictures of everything too!!! It was so cute! I don’t think I would make the trip all the way up there for only the restaurant but it was really fun to stop by while in the area! Everyone was definitely looking at me like a crazy tourist while I was snapping away but I didn’t even care! Oh my word! This place looks like a blast! Definitely adding it to my travel wish list! Kendall Ashley recently posted…Classic Horror on My October Reading List! This is literally the most amazing thing of all times! I don’t know too much about Dr. Who but this place looks pretty awesome! Glad you were able to check it out, I know how big of a fan you are! PANDORICA LOOKS AMAZING! I need to go here one day (and drag my husband along with me). Have to finish watching all the episodes so far though… Pretty cool to see all these details in your photos!